Make your mark with this multifunction, pink, Mary Kay stylus pen. This sleek metal pen features a black Mary Kay logo, polished silver accents, ribbed grip, metal clip, and writes in black ink. It doubles as a stylus for touch screen devices including tablets and phones. It makes a great team gift or giveaway for your next Mary Kay party. 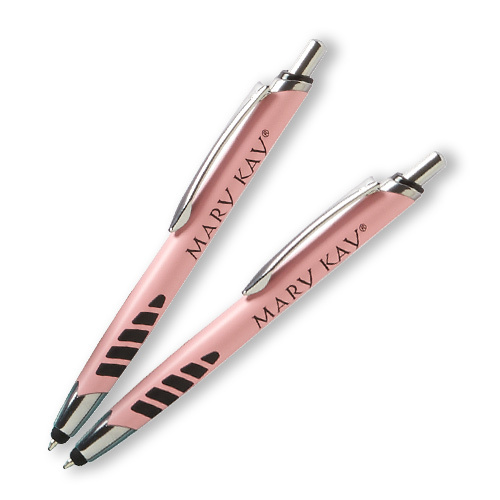 Promote your business in style with this pink Mary Kay stylus pen!